This entry was posted in BLOGGING and tagged abc, adult hip hop, Black, Chicago, chicago hip hop, d.j. thunder, eddy lamarre, emcee, empire, fox, keri, ladies love mixtapes, people, Precise, scandal, taraji, television, tye hill by Precise. Bookmark the permalink. Nicely worded. I completely agree. We should be proud of Shonda and Lee for their accomplishments. I’m sure, because of them, we will begin to have more African Americans behind the scenes of primetime television telling more of our stories. One example being John Ridley for American Crime. Thank you so much for commenting. You bring up soap operas that’s a good point!! If we look deeper the Empire story is more about family than anything, we dont make the same distinction when it comes to the Godfather or the Sopranos for that matter. Olivia Pope is the presidents mistress but also the most powerful woman in Washington. Her father Rowan is the most powerful man in the US. Thats whats so amazing about these shows..there are different levels to it. Thanks for commenting!!!. Simply Stated! I agree with you wholeheartedly. And for the record, My Name is Louise Patricia Carter and I proudly and addictive-ly watch “Scandal”, “Empire” and “Being Mary Jane”, and I Love them ALL. Let me say this, we can NOT forget that these shows are for Entertainment purposes ONLY. And when I watch, I watch for the sole purpose of being entertained the same way WE go to Fandago, Lowes or Marcus Cinema Theaters and “PAY” to be entertained by movies that often depict the same message. It’s amusing to me because I believe many hypocritically pick and choose what they allow to anger them or strike a chord. I don’t believe at all that these television shows necessarily depict “Blacks” in a negative manner. I believe they depict a REALITY that many are embarrased by. The Truth is EVERYBODY can either personally realate or at least know someone who can relate to the story lines of each show or the characters. How is a television show more influential then someone’s DAILY Reality? At the end of the day EVERYTHING we do is a result of a CHOICE to do so. I believe that when the reality in our homes and everyday lives are are those of Integrity and Character, there is NO room for negative Influence. Not to be deep, but we were raised on Biblical Principles, one in particular that states, Train up a child in the way he/she should go and when they’re old, they will NOT depart from it. When there are boundaries and certain standards, of course throughout life sometimes bad choices are made and sometimes we have to suffer the consequences of those actions but at the end of it alll you’ll NEVER completely forsake those morals and values. When we get back to the basis of this, then we’ll be able to watch such shows and be entertained and not be easily offended because the show itself or characters WON’T be personally relatable it’ll be just what it’s meant to be, ENTERTAINMENT. “I believe they depict a REALITY that many are embarrased by.” <—— Thats what we have to deal with. How do we move past it and see the development. I absolutely love Empire, every drip drop, drip drippity drop of salacious goodness! I OWN Hidden Colors 1, 2, and 3 so don’t need anyone to explain to me what’s wrong with the media portrayal of Blacks and how it effects our community. However, there is greater damage in “reality shows” than scripted dramas, as every culture had fictional work created with the intention of exploring us at our best and worst. Empire is that. Powerful, rich, successful, attractive Black folk acting fools. Who doesn’t wanna watch that? It’s way more interesting than any HipHop Basketball Housewives of Atlanta. Absolutely, you get exactly what I’m saying! We should be able to explore who we are in our totality..we have nothing to be ashamed of. I also agree with you when just thinking bout you comes to the reality shows…those are a different beast. The hide behind the title reality when a lot of them are not real at all. My thoughts EXACTLY thanks for writing this! I love this blog, let me say that first. I got enjoyment out of your words. I’m a “Gladiator “and I also enjoy Empire and Power. With the black man’s masculinity being such a huge debate now days, I don’t entertain the idea of these shows clouding my views. What about the fact that these black men are walking around wearing nail polish and tight pants and kissing each other in the mouth, in real life?! I could go on and on about this topic. But I’ll say this, RELAX critics and black people. It’s entertainment! The media does have a way of persuading us. But, take away from it what you will. ENJOY IT or don’t watch it. Everything doesn’t have to be about disrespecting blacks. We’ve done a good job of that on our own. Wow!!! So you just gonna put it out there huh?…LOL!! I feel you 100%. We should focus on what is actually happening! WORD! thank you for commenting!! I watch both shows from time to time & it’s cool cause I’m mos def secure in my manhood. It’s about what you ride with. It is about what you ride with. If you know who you are there are no worries. Thank you for commenting Pharaoh! Fam, you already know I’m down! To bond with brothers and sisters all over the country those two nights is amazing! I love the shows and the drama, even if it doesn’t represent everybody’s reality. No movie or television show ever will. To that point, we employ the suspension of disbelief. And we enjoy ourselves for a couple of hours each week. Thats what its all about. We all come together and just escape for a moment. Thanks for commenting bro. As a writer, I think Scandal is way too predictable. I continue to watch for now because I’ve invested so much time into the series, but I’m hoping the writing improves. Now Empire on the other hand, I love it! I think this was such an original ideal and came out and the right time. I love how complex each characters storyline is and each week I’m looking forward to seeing what they do next. While some things are predictable, it’s still a well written show that I enjoy watching each week. Very well put bro, I agree 110%!!! I couldn’t have said it better myself. Thanks for commenting bro!! We can still be aware with out taking ourselves to seriously!! WORD! There will always be a Catch 22 when it comes to Us and what we support(watch) vs. Our social responsibility as African Americans in Society. If You don’t support Programs that are spearheaded by African Americans and the show tanks we have this false perception that we run the risk of never having the opportunity presented ever again. But if the program presents Us in a not so positive light we automatically, almost in a knee-jerk sense, condemn the show and want to call The NAACP and Boycott like a Crime has been committed. The truth of the matter is that neither side is Right or Wrong it is just based on what the Individual Viewer deems appropriate or Inappropriate. It’s 2015, and to be quite honest, we gotta get past these types of hangups… it’s unnecessary and time wasting. To your point, it is a communal act amongst not just Us but all people, there are viewing Parties for Every Show on TV. People need to just STAHP.IT.!!! I agree with the Catch 22 perspective, ultimately it comes down to choice. I feel like we should support each other and we can critique each other without being an azz about it. I totally disagree! Being as though we as African Americans are grossly under represented in the art of film and television. It is even more important that our images are half way positive and not just singing, dancing , telling jokes or being the white mans bed wench and demeaning ourselves with feminine or non threatening male characters that are typically the only ones Hollywood would except. As a prominent Jewish jeweler once told me ” we don’t care if you guys are singing, dunking a ball or telling a joke as long as we sign the checks you have no power”. In order to have power you need to teach the youth by programing them to seeing themselves as something other than rappers. That is the problem. Why can’t Empire be about a successful cosmetic business like Bold and the Beautiful. I’ll tell you, it’s not fitting with how they want us portrayed as Sambo (shucking an jiving) Sarah Palin. These images also reinforce others views of us in society that have no real contact with blacks on a day to day basis. Yes, I agree we are not one dimensional however we are in a state of crisis. Check the news in Madison, Wisconsin for example. The subconscious mind is powerful. I will never add to this ignorance and watch this garbage. These directors aren’t the least bit conscience. They just want fame and fortune. That is our problem we have to care about more than ourselves. How about our fellow brothers and sisters who’s image you are creating? You wonder why Cosby had to be destroyed? how many shows like that exist now? We are in a state of emergency. I understand this; however I feel it’s limiting to characterize these shows as shucking and jiving or some lone being a bed wench. What happens many times is that these judgements come from people who don’t watch the show or will never watch the show, so to be honest you do not have a full grasp of what the director is trying to portray. You only know what you are told. That is the core of our problem. What if I told you the most powerful man on Scandal is an African American? What if I told you that the main story with respect to Empire was to graduate from these street characteristics bring the company public and build generational wealth? You would not know this because you don’t watch the shows. 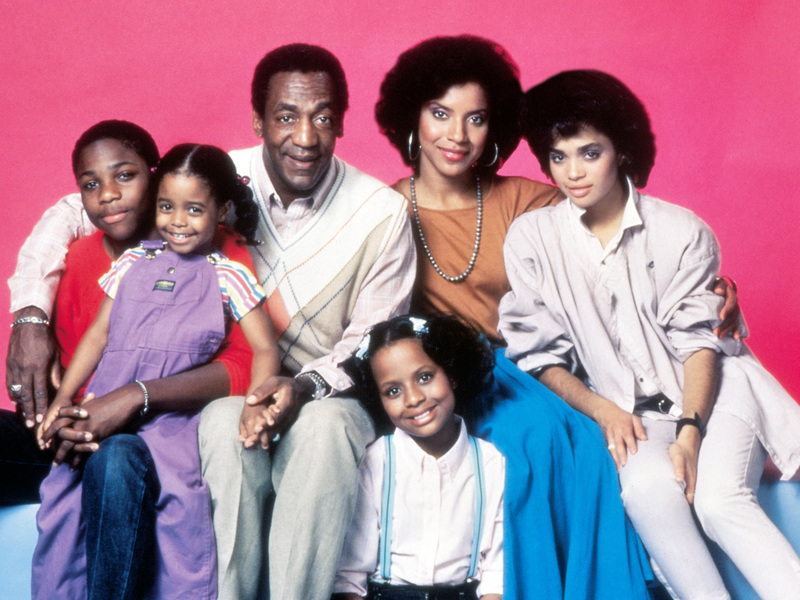 We do need shows like Cosby back on the air. We need the scales to tip more in the favor of the positive. It does not matter what others think of us. What do we think of ourselves. We have value and complexity like other cultures and we should be able to showcase this just like anyone else. One thing I do agree with is that we need to start writing checks.